Got a little bit of inspiration looking at Jethro Brice’s excellent blog http://futuremuseum.wordpress.com/ the other day. Its an investigation of some our not so smart current uses of resources looked back on from two centuries in the future as well as imaginings of some immediate post-apocalyptic responses to environmental/political meltdown. It set me off thinking about what kind of guitar/string instruments would be in circulation in this kind of world: obviously mass produced high/low quality instruments would disappear fairly quickly. 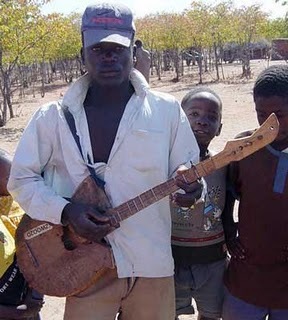 There would still be some craft masters working but the majority of string instruments would be home made from whatever materials happened to be at hand; this kindof practice has been pretty continuous amongst African guitar players. 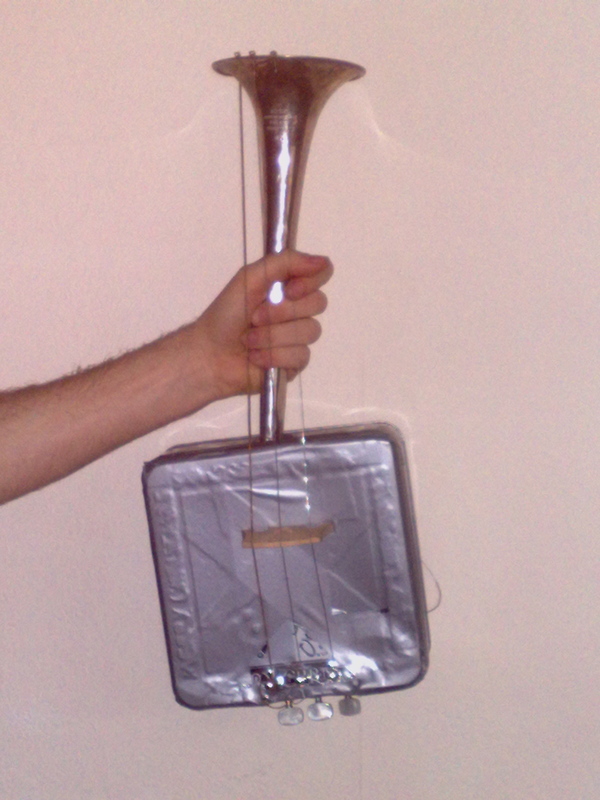 So I set myself the task to make an instrument by reusing stuff that was just lying round the house. 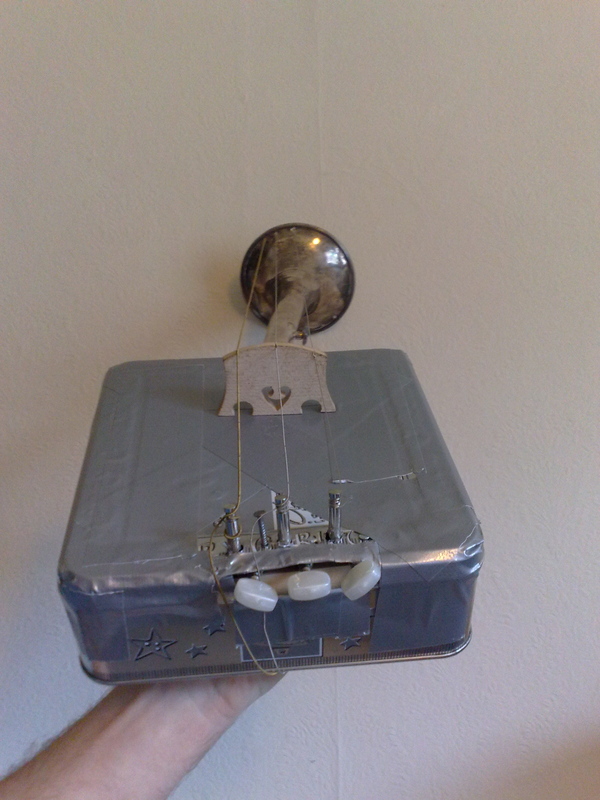 The couple of conditions I set were that it should sound reasonable as an acoustic instrument so as not to rely on electricity and that only a couple of hours should be spent in its construction to keep it as DIY and rough and ready as possible.